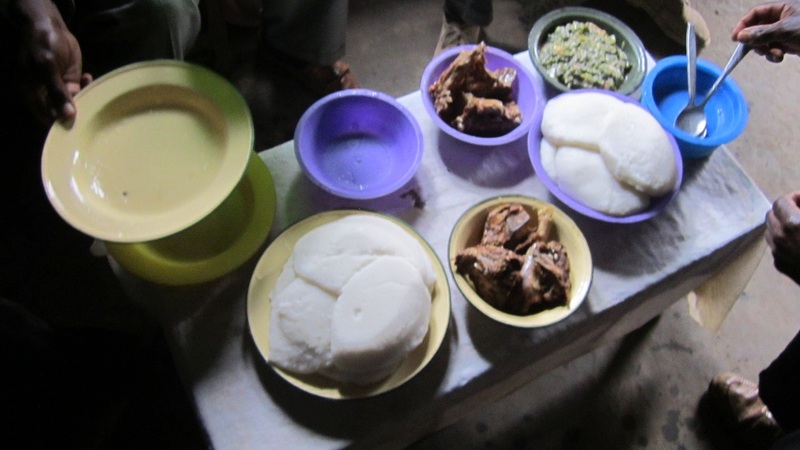 When I was in Mozambique, back in May, the dynamics of hospitality and friendship in eating together struck me again. 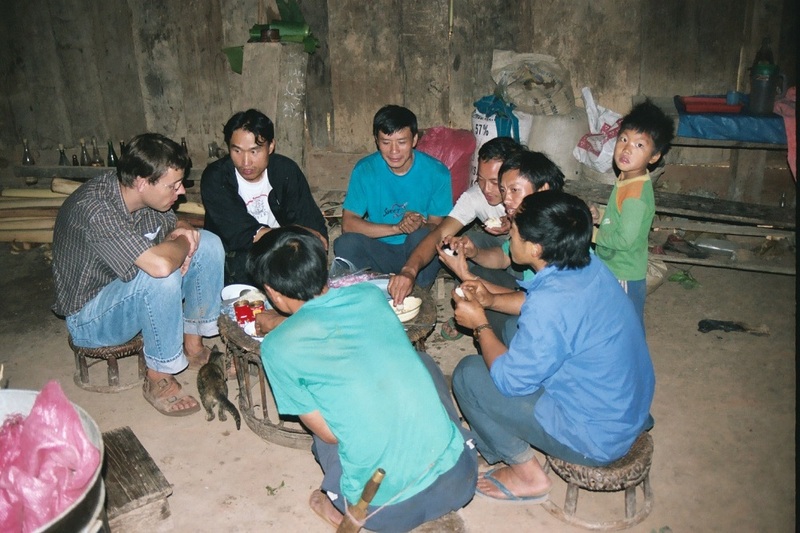 There is a unifying impact that happens when people of very different cultures sit together and one eats the food of the other. Yet, all through history people have been scorning other ethnicities’ foods: Jewish Christians needed special revelations before they could eat with Greek speaking Gentiles, Latin Americans comment on the blandness of European white peoples’ food. Anglos often worry about getting their mouths burned by the Latinos’ food, and it goes on and on. As one of those white folks, native to the USA, I wish that the racial groups here would eat each other’s food together more often! I think it might help us all to overcome some of the racial fears and suspicions that drag our country down so much and lead to so much hurt! Lots of days I long for the much more relaxed and respectful inter-racial relationships of Belize where eating others’ food is common. Here are a few pictures of some good eating together moments. 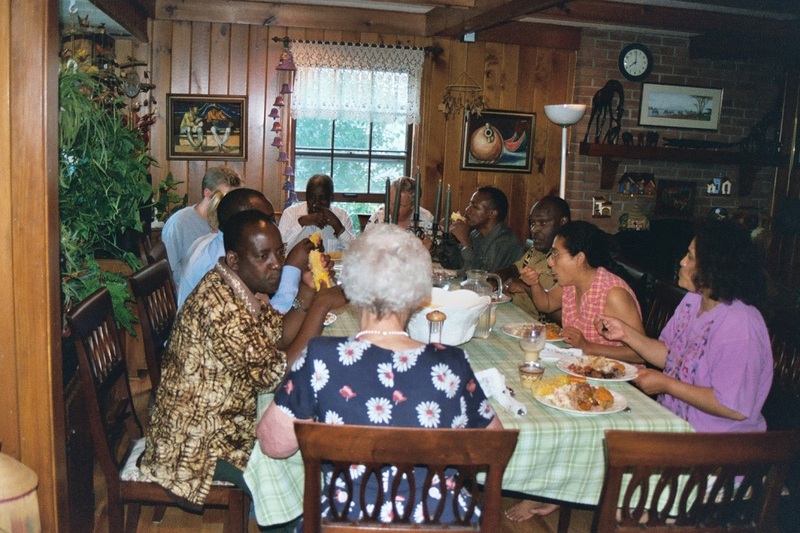 I’ll start with eating together with guests from Kenya. 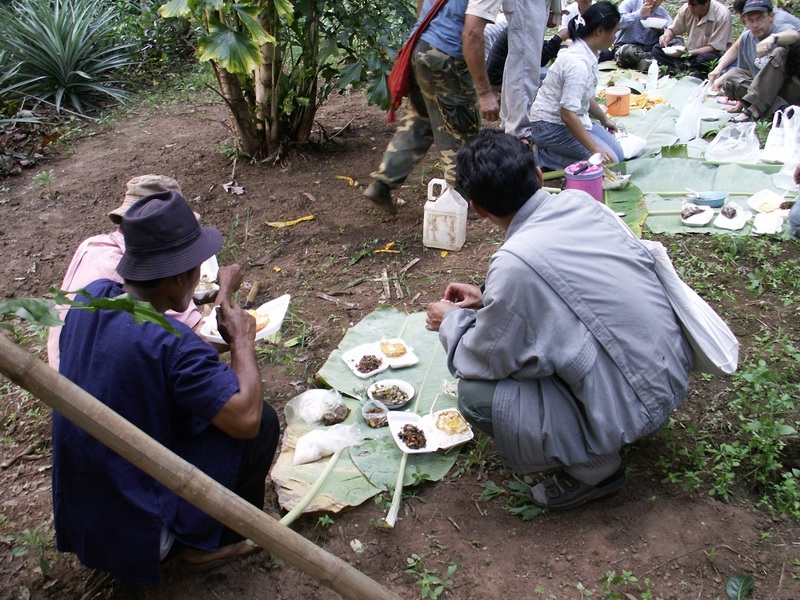 We were eating corn in a way that every one liked. In Mozambique we ate corn in the way the people like it. They grind off the outer part of the kernel and make a white, soft and sweet nzima (sp?) It tastes very nice when you dip it into tomato sauce! 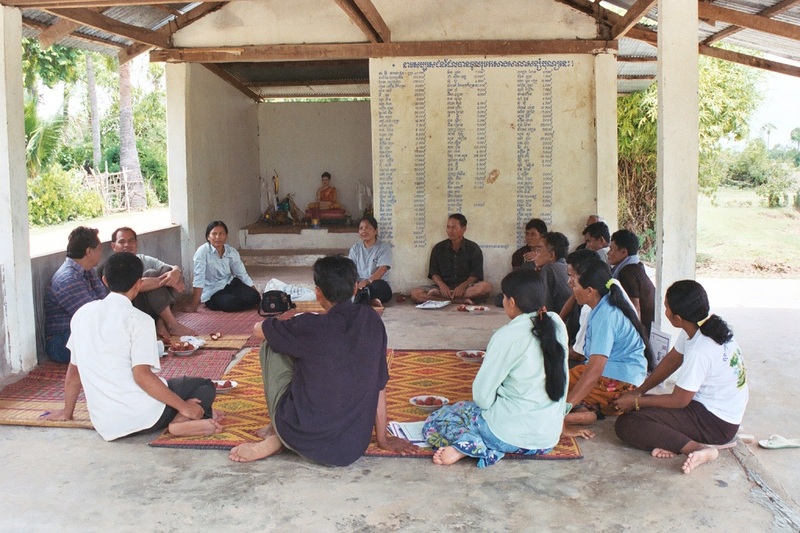 And, in Cambodia, sitting together cross-legged on the floor (more often on a raised platform) that serve as a meeting place, too.